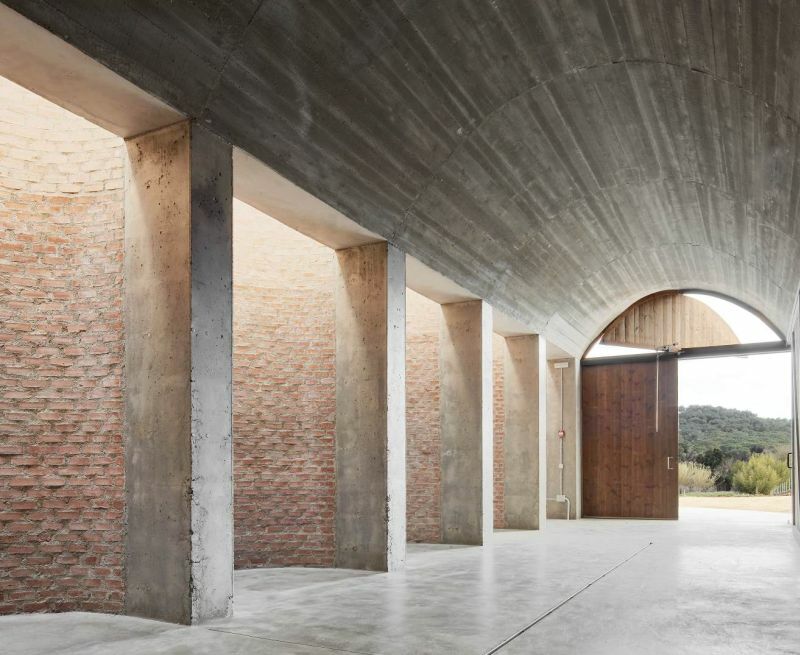 A winery, Bodega Mont-Ras, was awarded the architecture prize for the industrial and rustic type materials used in a design which reveals the close relationship with the creation of wine. A series of concrete vaults form a section of hyperbolic arches and are cladded with vertically-laid, fired lay tiles. The panel of judges commended the use of the tiles in this layout, which shows how the chosen materials can adapt to the various spatial geometries. 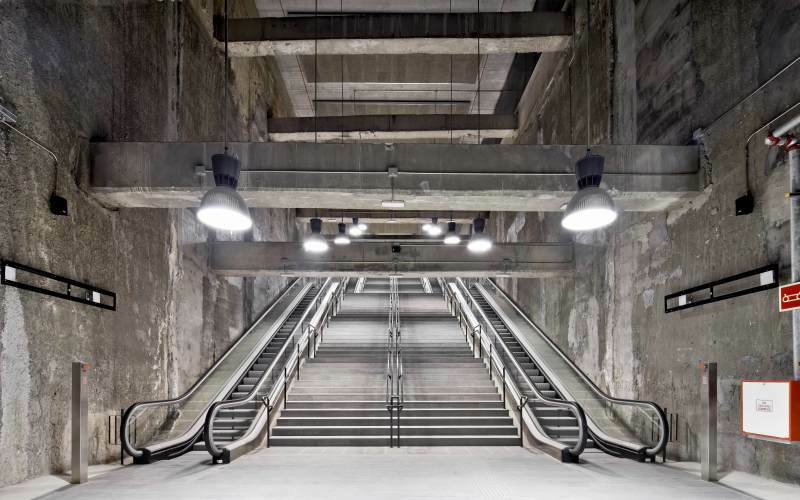 The refurbishment of the Mercabarna, Parc Logístic and Europa Fira stations on Barcelona’s L9 metro line aimed to create a space that is defined by its geological rather than its built nature. The intention was to use the minimum extra materials and embrace those already present in the structural and civil engineering work, such as the exposed foundation walls, the building supports and prefabricated structures. The judges highlighted the contrast created by the use of clean, convenient and practical ceramic floor tiles in areas in contact with people traffic, and the stark, radical nature of the other surfaces. Full thanks and acknowledgement are given to the Tile of Spain Awards for the information and images provided. Winner of the architecture category: Bodega Mont-Ras. For more award articles, click here: http://www.facebook.com/buildinganddecor, http://www.twitter.com/buildingdecor and https://www.linkedin.com/showcase/10172797/, and sign up for our newsletter: http://www.buildinganddecor.co.za/register/.